Armenia's minister of territorial administration and development has met with a delegation led by French Ambassador Jonathan Lacôte to discuss the bilateral cooperation agenda. Greeting the guests, Suren Papikyan highly praised the unique level of the Armenian-French partnership, and the alliance in political dialogue, trade-economic ties, educational and cultural relations and inter-regional cooperation. 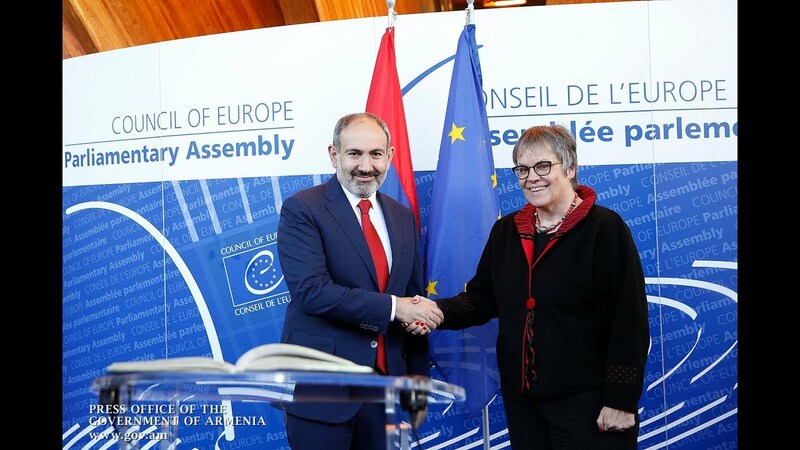 He also highlighted the decentralized cooperation between the two countries' local governments, reiterating Armenia's commitment to find new areas of cooperation. According to the Ministry press service, the delegation included also the heads of the French Development Agency for the South Caucasus region and Armenia. Papikyan appreciated particularly the activities in the fields of energy saving, irrigation systems and water dam building. Ambassador Lacôte, for his part, thanked the minister for the reception, saying that the French local government authorities have developed an increasing trust in Armenia after last spring's political transition processes. The diplomat also expressed hope that the sides will manage to coordinate all the practical programs and ideas to present complete packages of mutual cooperation.